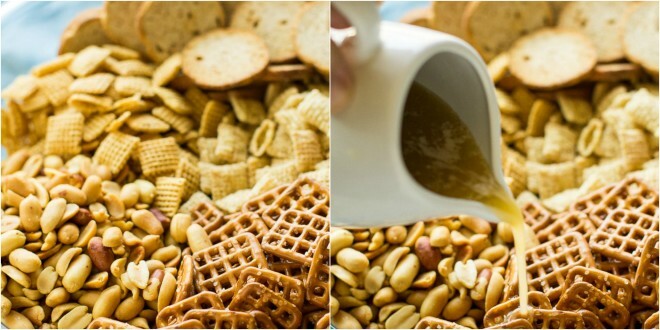 Make Homemade Chex Mix in the microwave in 10 minutes or less! 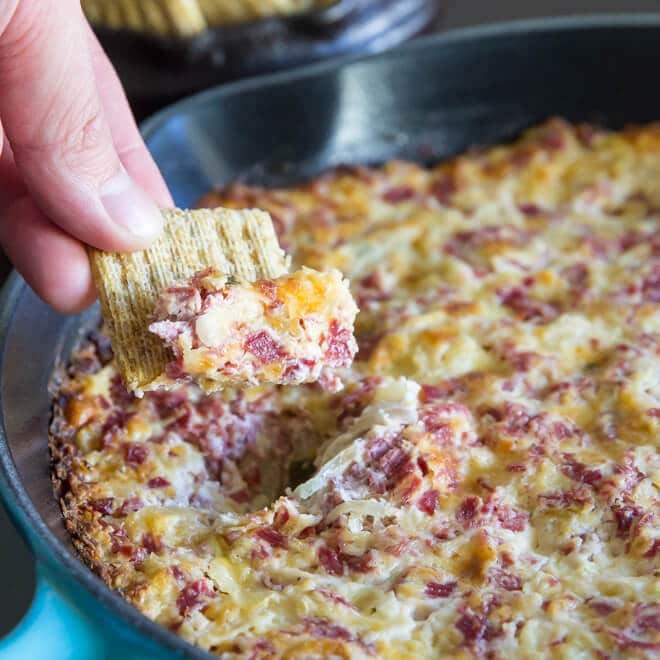 Adapted from the original Chex Party Mix recipe (but I use more butter). Whenever I see box of Rice Chex or Corn Chex at the grocery store, I can’t help but laugh a little. I mean, has there ever been a product line more excited about the Gluten Free era? Those product managers at General Mills are probably still high-fiving each other. 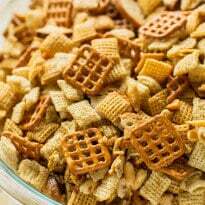 In all seriousness, though, I grew up with Chex Mix. My mom would make a big batch at the holidays or for our summer trip Up To The Cabin, and I loved the stuff. The only change I ever wanted to make was: More Flavor. Do you ever get those bites that just tasted like the plain cereal? An unseasoned pretzel? Now that I’m All Grown Up and making Chex Mix on my own, we’re adding more of the good stuff. (Hint: More butter, more seasonings). And as much as I love my slow cooker and try to use it for everything, I think it defeats the purpose when it comes to Chex Mix. 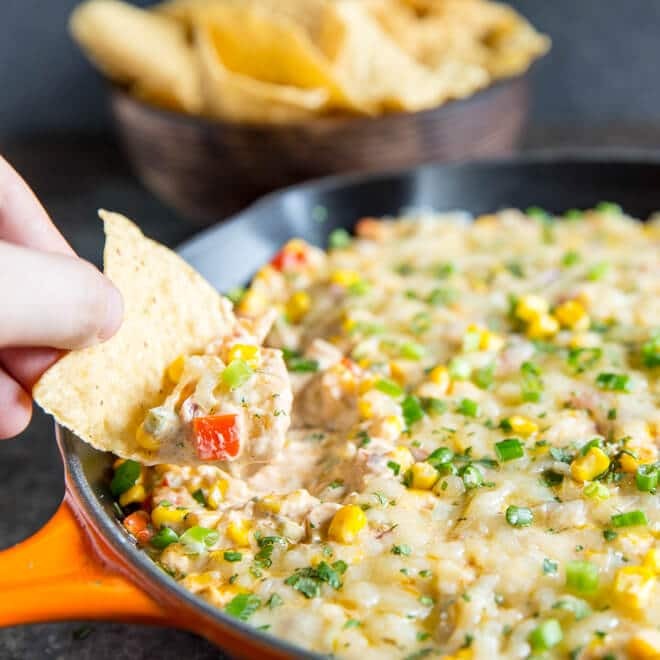 You can make this stuff in the microwave in under 10 minutes and you’re done. 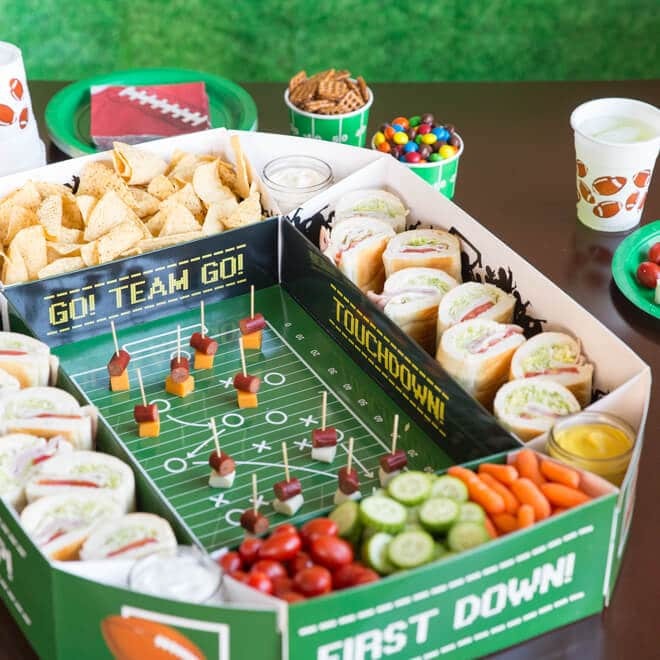 Good thing too, since The Super Bowl is only a few days away. Full disclosure: I’m leaving out the Wheat Chex. Does anyone like the taste of Wheat Chex? I’m officially taking a survey on the subject. And if you add it for appearances, for health reasons, or because the original recipe says so, that doesn’t count. 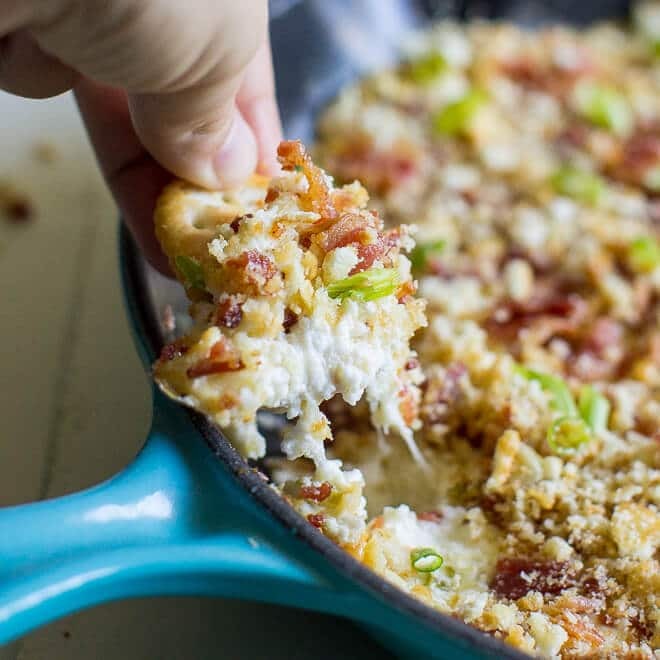 You’ll want about 8 or 9 cups of cereal total, however you mix it. The original recipe also uses mixed nuts which just seems bizarre to me. I went with straight peanuts which, I’m pretty sure, is what they use in the pre-made Chex Mix you can buy at the store. Walnuts? No thanks. Pretzels, yes obviously. But how about those garlic chips? They seems to be getting harder and harder to find. I went with Melba toast. Sometimes I break them up (good idea) and sometimes I don’t (toddler request). Bagel chips also work. 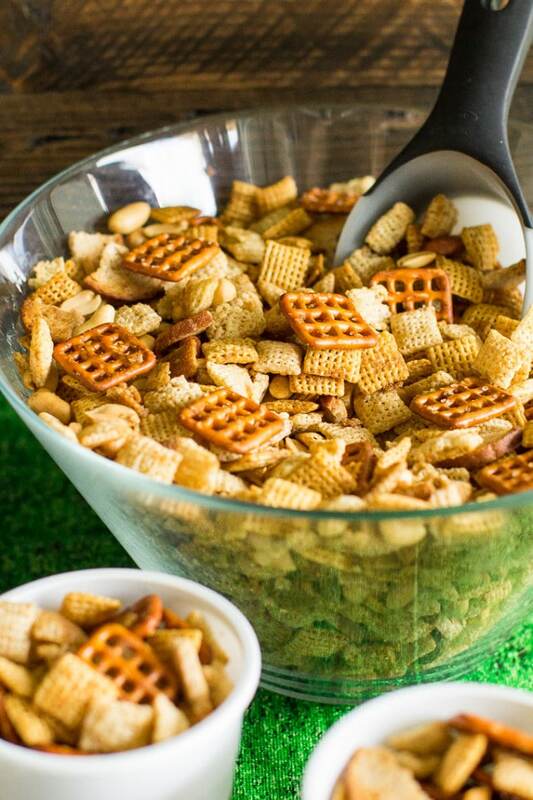 But really, the point of Chex Mix is to put in whatever the heck you want. Cheerios, Brazil nuts, goldfish crackers, whatever! Have fun. The most important thing here is to have a gigantic bowl that will fit all your stuff in it AND be microwave-safe. Once you’ve solved that problem, you’ll be microwaving your Chex mix in 2-minute increments for 6 minutes total, stirring after each increment. Then spread on paper towels to cool. 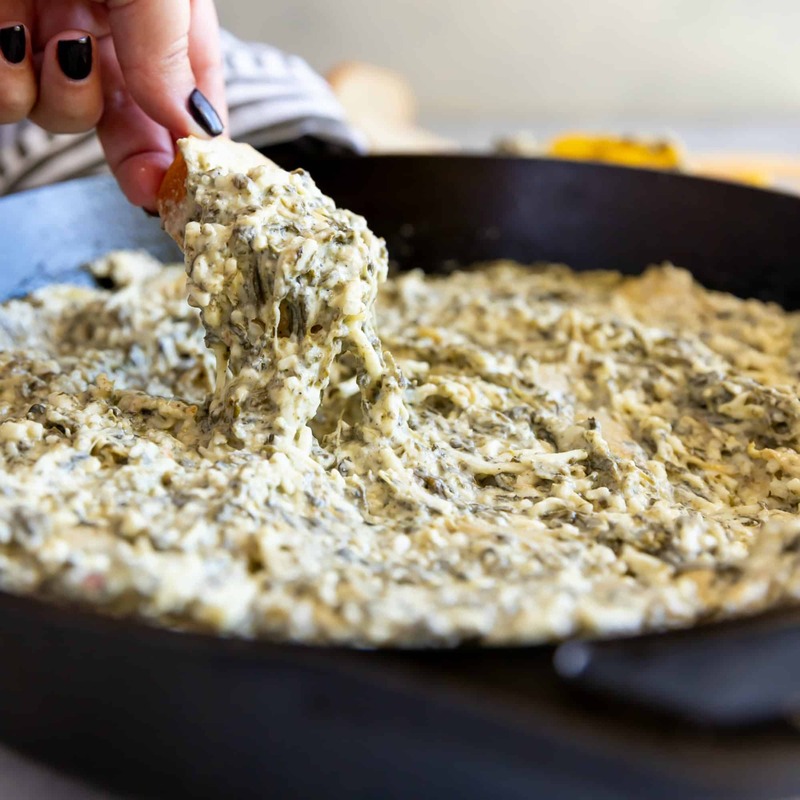 I use more butter and more seasonings than the original recipe, and I like it better that way. No wimpy bites! We have a game to watch. 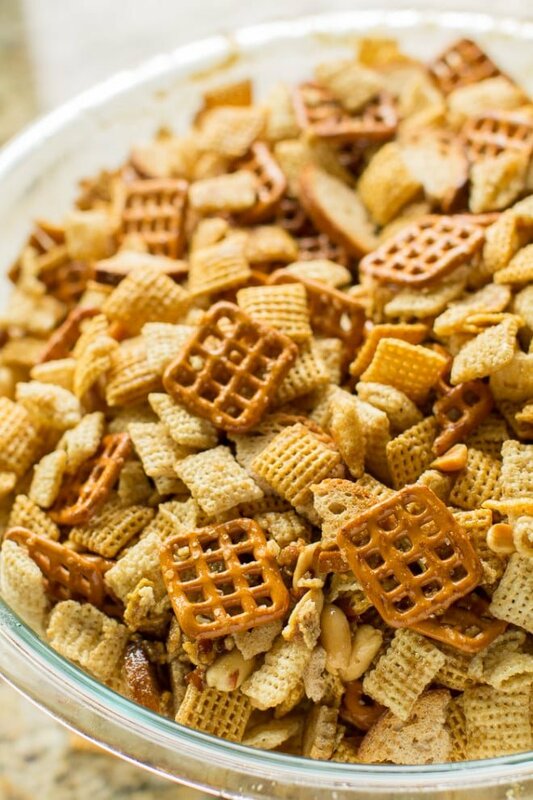 Save this Homemade Chex Mix to your “Appetizers” Pinterest board! 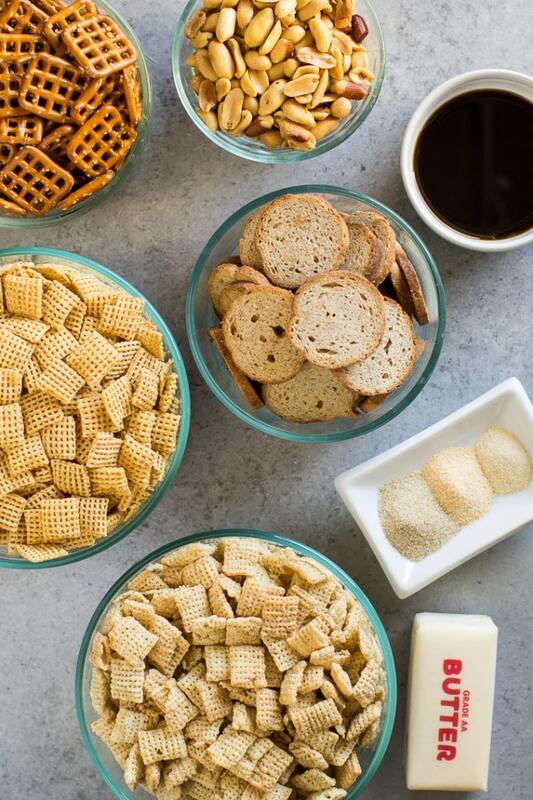 Make Homemade Chex Mix in the microwave in 10 minutes or less! Adapted from the original Chex Mix recipe (but I use more butter). 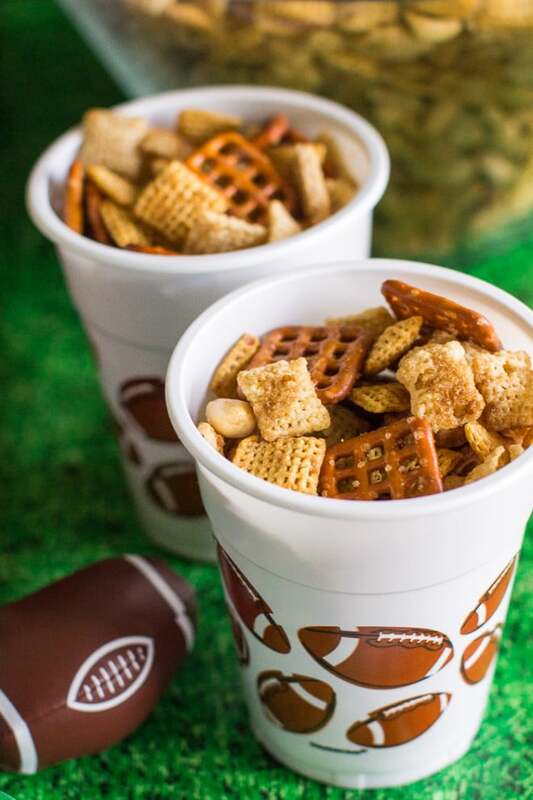 In a large microwave-safe bowl, combine Chex cereal, pretzels, garlic chips, and peanuts. In a small bowl, microwave butter until melted, about 30 seconds. Stir in Worcestershire sauce, seasoned salt, garlic powder, and onion powder until blended. Pour the melted butter mixture over the cereal in 3 batches, stirring well after each addition. Microwave the Chex mix on HIGH for 6 minutes, stirring every 2 minutes. Spread the Chex mix on paper towels to cool. Store in an airtight container at room temperature. Adapted from Original Chex Party Mix. You got me with the “more butter and more seasonings!” I’m not sure if I never had the “right” batch when I was a kid, but I’ve never really gotten into the whole Chex Mix thing. It really always did just taste like dry cereal with pretzels! I’m definitely giving this one a try! This is another one of those things that is SO totally American, and I love it! I’m not sure I really even knew what chez mix was until reading this. Certainly didn’t know you added butter, and can make it in the microwave. Thanks for teaching me something today Meggan! I love the Wheat Chex the most and leave out the Rice Chex. I also use a LOT of Worcerstershire sauce and a LOT of butter. I also use straight peanuts and the brown rye chips, (although they’re all good). I also like to eat mine frozen. It really brings out the butter and Worcerstershire flavors. Edwin, you are the best. 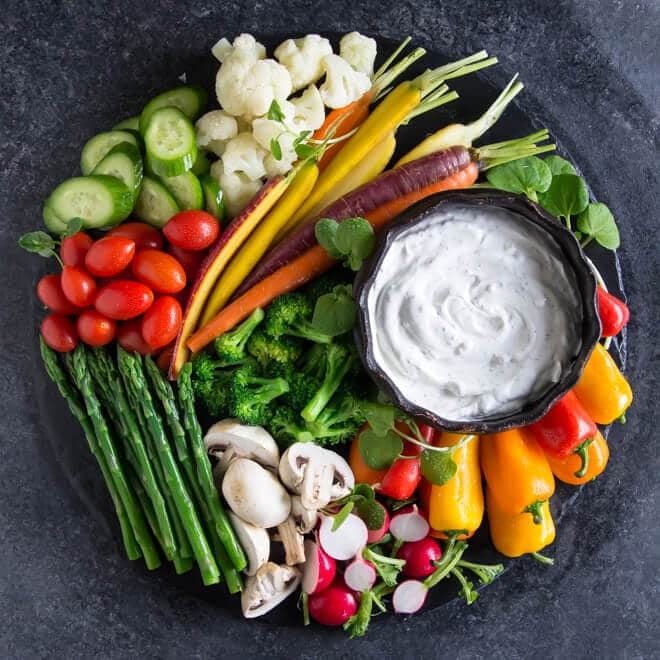 First of all – LOTS of Worcestershire and butter… yes please! And eating it frozen? Such a fantastic random tip! I love it! I can totally see how this would work and taste awesome. My mom always stored Chex mix outside on the patio in winter (for Christmas) and the effect was the same. I just forgot and never connected the dots. Get on with your bad wheat Chex self… have a great holiday! Take care! You have to take the mix out and stir every 2 mins for 3 rotations! The wheat Chex are my favorite. In fact, I usually leave out the Rice Chex and double up on the Wheat. In the past, I tried adding more butter and more seasoning, but it ended up greasy and the seasonings were not balanced (I obviously did something wrong). I plan on trying it again for Christmas and will try it your way.